This is one of our favourite Hallmark products from last year, but remains on the top of our list for Christmas 2014 as well. This interactive product is a great alternative to Advent calendars with chocolate and encourages receptive language skills. Besides that, it adds fun and excitement to the Christmas countdown. There is a new cartridge available for purchase in-store, for $9.99. It can be inserted under the CLOCK/DATE panel of your communicator and will update your conversations. Visit northpole1820.com to see more products- some are featured in the new Hallmark movie NORTHPOLE that premiered last week and is due to be repeated. available in Hallmark Canada stores. 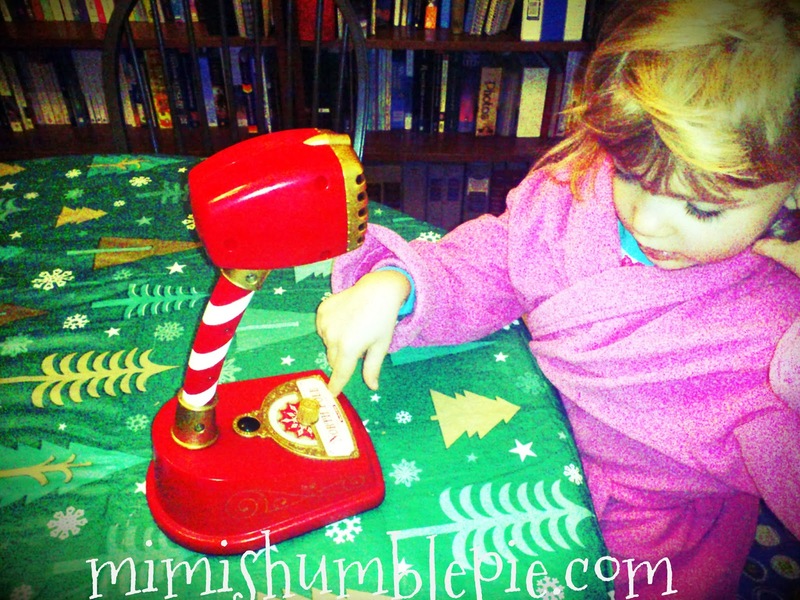 One of our favourite Christmas toys this year has to be the North Pole Communicator from Hallmark Canada. It is the ultimate Christmas countdown. When you get your Communicator home, uncap the clock underneath the base and set the date and time. Each day at midnight the message resets. With 25 unique messages- one each day my girl has been eager to get up and get ready for school so we can hear the new message. Don't fret about repeat messages next year, buy a new cartridge to start the fun all over again in 2014. This short video demonstrates how the North Pole Communicator toy works. Tip: For a fun counting activity to promote math and literacy- make a calendar and put a sticker on each day as it passes. Disclosure: I am a member of the Hallmark Press Pause Panel and receive occasional perks. All opinions remain honest and my own.